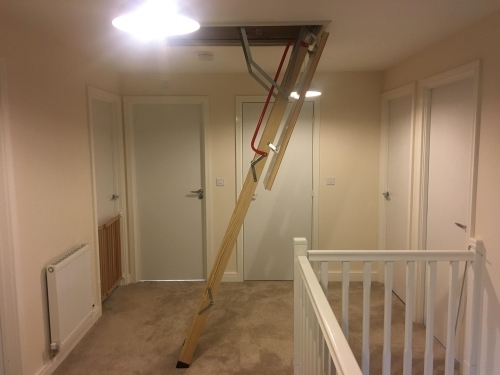 We are a family run business specialising in the installation of loft ladders, loft hatches, loft boarding, loft lighting, balustrades,loft insulation and more. We also provide flooring systems to comply with Part L 1A of the Building Control regulations. All of our fitters are fully trained and insured. Once you have contacted us either by our contact form on our website, email or by the phone, we will arrange for our consultant to visit you for a free, no obligation consultation and quotation. Our consultant will advise you on the best way to maximise your storage space and access your loft. Our aim is to maximise the storage space with the least amount of fuss and worry to our customers. Our goal is to give our customers the best experience possible. Terms: The surveyor will come to your home and discuss with you your best options with regards to ladders. Our ladders start at £225.00 and will vary dependent on the type of ladder chosen. Having loft boarding is not mandatory, however, there is a lot of wasted space in your loft. 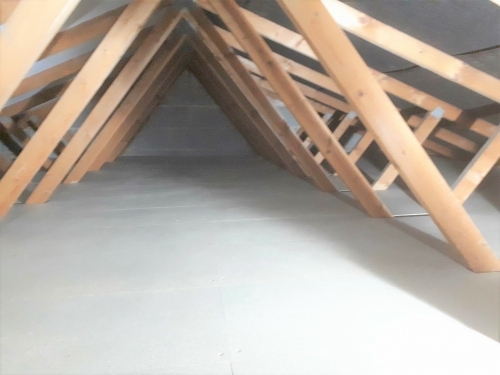 Installing loft boarding creates more surface area for you to store your items safely whilst also being able to walk on them safely too. This creates more space. A credit to the family company The brother and sister who fitted the apparatus were friendly, courteous and efficient. They covered up all the staircase, and cleaned up very thoroughly afterwards. They also explained how the ladder worked, and they are a very good advert for your company. Very satisfied. Excellent work Mark and David fit in our job on short notice &mdash; we realised just a week before the birth of our daughter we were going to need the loft space to replace lost storage in our once-spare room, as baby stuff started filling up our small terraced house. They were courteous, friendly, and did wonderful work, in really terrible weather for it (30+ degrees!). We are really pleased with the result: the loft is fully boarded with led lights, and there is a new opening with a proper wooden ladder. We would absolutely recommend them!